Ever since going vegan a year and a half ago, I’ve turned trying to find animal-byproduct-free versions of all the foods I used to eat on the regular into a straight-up hobby. First things first: I totally understand that a plant-derived product simply won’t always be a doppelgänger—aesthetically or taste-wise—to the real deal. Still, my roster of A+ finds is quickly growing—and the latest vegan #win I came across seriously had me wondering whether there was some sort of mishap in production, because this product tasted that identical to what it was mimicking. As someone who used to have a daily omelet jam-packed with ham and about 10 servings of cheddar cheese (oh, how times have changed! ), I’ve been pining for a vegan dupe that could give me that same warm-and-cozy feeling first thing in the a.m. I’ve learned that a 1/4 cup of applesauce beats putting gooey egg replacer in my pancakes and other baked goods any day. And when it comes to finding a fake egg that makes my morning scramble dreams come true, there are some promising options—but nothing comes close to being as eggy as Just’s new product. 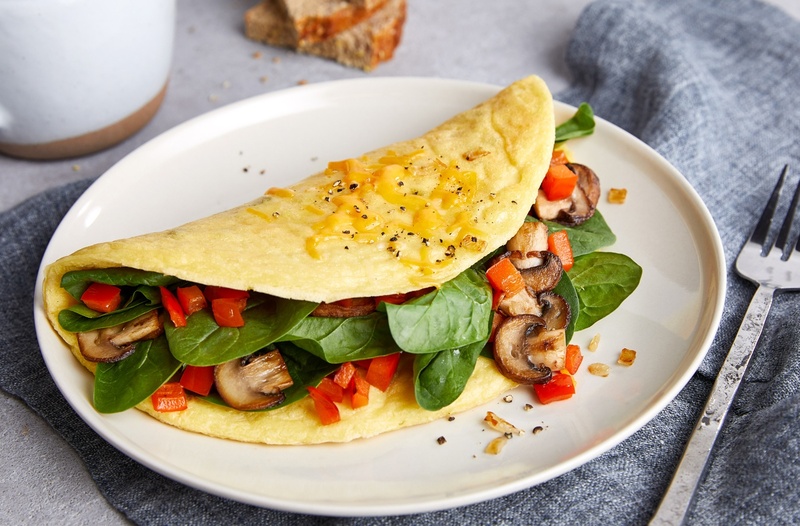 As someone who used to have a daily omelet jam-packed with ham and about 10 servings of cheddar cheese, I’ve been pining for a vegan dupe that could give me that same warm-and-cozy feeling first thing in the a.m. Nothing comes close to being as eggy as Just’s new product. Yesterday I was able to try out @justforall’s new vegan egg product (that’s made of mung beans, BTW ) before it hits store shelves! And, I’m ridiculously impressed. The taste, the texture, the way it cooks… everything was so egg-like that it was almost scary.  Click the “vegan finds” tab in my Story highlights to watch me scramble them up! And, more great news: Starting later this month, Just Egg will be available on Jet.com, meaning you won’t even have to go scout it out at every health-food store within a 100-mile radius from your apartment. (Been there, done that.) Plus, if you live near a Veggie Grill, you’re in for a real #brunchgoals treat: The vegan chain now serves up the scramble in its newly-added breakfast burrito. But no matter where you try the product, I think you’ll be just as impressed as I am. Before I return to my mission of buying out every store’s stock of this product, I’ll leave you with one more tip: Do yourself a favor and buy some black salt, which is actually pink, not black, and has a sulfurous, eggy taste. Once you put it on your scramble, you’ll never go back to the shelled egg varieties ever again. Hummus ice cream is here to answer your healthy (vegan!) dessert dreams. Or, use this trick to make vegan poké taste like the real thing.